People and businesses move across the country all the time. Relocating can be an exciting experience if the entire process goes smoothly. At other times, moving can be stressful. You have to take care of your utilities, return borrowed things and retrieve items that have been borrowed from you. Needless to say, packing and rearranging your items in your new residence is the epitome of relocation hustles. To avoid missing out important steps during a moving process, it is crucial to have a checklist of all the items and activities that you should do to execute the move. You might consider calling a friend who has moved before for tips on moving. When choosing a moving company, be careful and select one that will ensure the safety of your family and your items. Changing your address is one aspect of relocation that will ensure your life runs smoothly after you move. A successful change of address means a lot. Most importantly, your bills will reach you in time. You really don’t want your utility service providers to start calling about late bills. Your bank and e-commerce sites need to update your billing address for flawless online transactions. Changing your address will also make you accessible to your friends and relatives. If you are a member of a club or other organization that sends monthly subscriptions, or you receive magazines and catalogs on a regular basis, you need to change your address and contact those organizations. 1. Decide whether you want permanent or temporary COA: A permanent COA allows first-class mail and periodicals to be forwarded to a new address. Standard mail such as magazines and catalogs are normally not forwarded. Permanent COA can be provided to business mailers. On the other hand, a temporary COA will have your mail forwarded to a different address piece by piece for a period of 15 days to 6 months. If you extend your stay away from your permanent address for more than 6 months, you can extend the temporary COA service up to a year. Temporary COA is not provided to business mailers. 2. Verify your new address: You need to double-check the new apartment or house number to ensure that no mistakes are made in the COA (Change of address) process. Check the spellings of the city and street. Refer to how the post office codes your mail to make sure no detail is left our or recorded incorrectly. A mistake in your address could mean that you will have to go through the US postal address change process twice. 3: Submit a change of address request: There are three ways of submitting a request to the U.S. Postal Service (USPS). One way is using the internet. 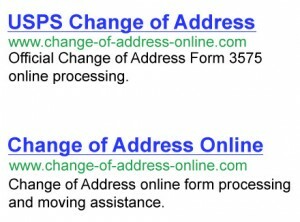 Filing for a US postal address online is the fastest way of changing your address. Click here to submit your US Postal Address Change Online. The second way is to call 1-800-ASK-USPS (1-800-275-8777) and do the change of address but it can take some time. The third way is to walk to your local post office and file a PS Form 3575. If you are not available to do one of these, contact a company that offers change of address services to do it on your behalf. 4. Don’t forget to include the names of your family members: Include the names of all people moving out of the current residence as you change your address with the USPS. If everyone is moving with you and each member has the same last name, fill one form using the “family” option. If others are to be left in the old residence, fill out a separate form for each member who is moving with you using the “individual” option. 5. Notify people and organizations about your change of address: Make a thorough notification list to ensure that you are in touch with everyone you do business with. Check envelopes and mailing labels of the mail that you receive frequently. Your list will include utility companies (electricity, water, gas, etc. ), banks, credit companies, doctors, clubs and organizations, newspapers and magazines, employers, government offices, family and friends and so on. This step should be carried out carefully to ensure that all your mail reach you wherever you go in a timely manner. 6. IRS and Social Security: The Internal Revenue Service and Social Security Administration are two government organizations that require special emphasis during a US postal address change. Notify the IRS of your change well before time especially if you expect a tax refund. Download Form 8822 from the IRS official website or contact the IRS center where you filed your return the last time. You can also wait until the next time you are filing your return to change your address. For individuals, IRS requires both of the spouses’ signatures if they file jointly whether moving together or one is moving to a separate residence. Also contact the Social Security Administration to make sure that you don’t miss your benefits, if any. 7. Driver’s license and vehicle registration: A driver’s license is often used for identification. The address on the driver’s license should, therefore, be updated to match new residence details. If you move to a new state, check the state’s website to get complete information on the changes you need to make. This way you’ll know how and when to change your driver’s license and vehicle registration details. Sometimes the need to move can come at a time when you are committed elsewhere. In such a case a person or business needs the help of a moving company to carry out various activities required for a successful moving process. There are many companies that offer these services. An individual or business planning to move should take enough time to select the best and most trusted company that will ensure a stress-free moving process. We provide all moving services to individuals, households, and businesses. Our services range from filing change of address requests both for a permanent and temporary move to notifying organizations, individuals, and memberships about the change of address. We will set up, cancel or switch subscriptions and disconnect/connect utility services according to your directions. Our services also extend to packing and transportation. Our staff makes sure that all your items are safely packed, sealed and transported to your new location. With us, you are sure to enjoy the feel of your new residence as soon as you need it.